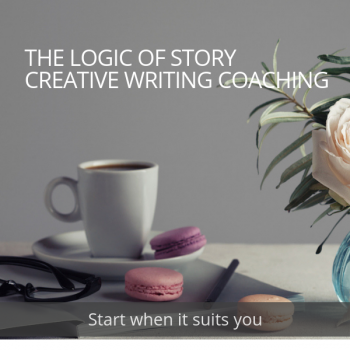 Sign up for a fourteen step programme with your own personal writing coach. Before or after work each day, your coach will give you a few fundamental points of writing practice, encourage you to write, provide a prompt to get you going, and give you full personal feedback. This coaching programme focuses on the logic of story: the glue which holds it together. 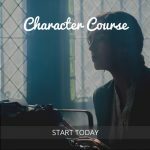 Each day we will look at a different aspect of writing necessary for building a story – from its characters and the structure of its scenes, to sentence formation. Story is the basis for whatever you write: fiction or non-fiction and whether for page or screen. Without this strong foundation, writing can flounder and lack focus, which the reason so many writers get stuck. Once you understand the logic, you will gain the confidence of knowing exactly where you’re going. Your writing will flow. Imagine you had your own personal writing coach. Before or after work each day, your coach would give you a few fundamental points of writing practice, encourage you to write, provide a prompt to get you going, and give you full personal feedback. 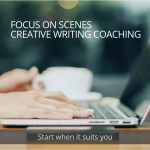 Our Coaching Programmes offer you the chance to form a writing discipline and develop your creativity. Each day we provide a page of cogent notes to reconnect you with some essentials of writing, and a simple but challenging assignment – all designed to fit into a busy daily schedule. Write whenever you have the chance: morning or evening, noon or early hours – we don’t care. Do it daily over a two week period. Reading the notes and trying the assignment should take you no more than an hour. We’ll provide you with full feedback which is honest but kind, and guaranteed to develop your writing. Story is the basis for whatever you write: fiction or non-fiction and whether for page or screen. Without this strong foundation, writing can flounder and lack focus, which the reason so many writers get stuck. Once you understand the logic, you will gain the confidence of knowing exactly where you’re going. Your writing will flow. On twelve out of the fourteen days of the programme, we give you full feedback on your writing. At the end of each week, you’ll receive an exercise which will bring together all that you will have learnt during the week. Jo-Anne and Richard founded All About Writing in 2007 and offer courses, both online and face-to-face, that promote good writing. They include creative writing and scriptwriting courses, intensive online writing workouts, coaching and mentoring programmes as well as workshops and writing retreats including our annual retreat in Venice, Italy. Sign up for this stimulating online programme for two weeks of daily writing tutoring, which will make a real and lasting difference to your writing.